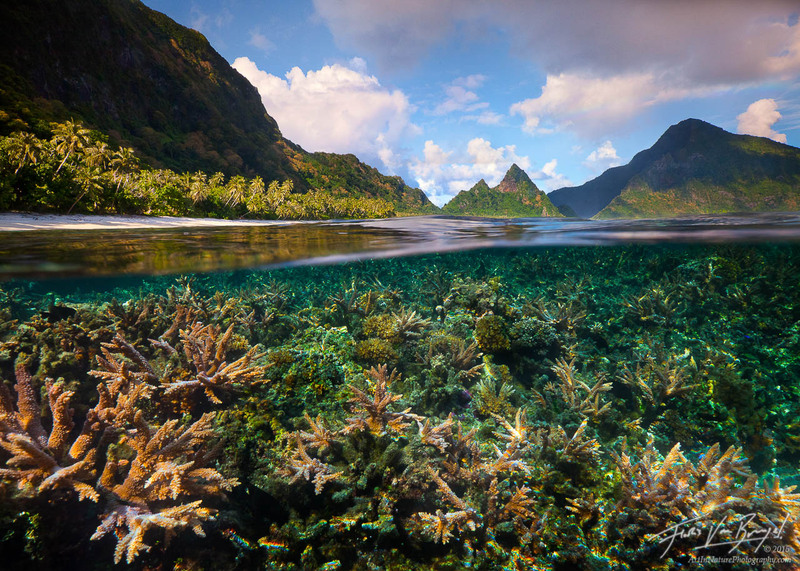 The isolated tropical paradise of Ofu, one of the Manu'a islands of American Samoa, is home to one of the most pristine and beautiful coral reefs of the south pacific, and it's just right off of a coconut palm lined beach with spectacular views of rugged green peaks. It is a challenge to get there with no regular transportation, but that is a small price to pay for the solitude you can find here. In the foreground of this image is a dense patch of Staghorn corals (Acropora).